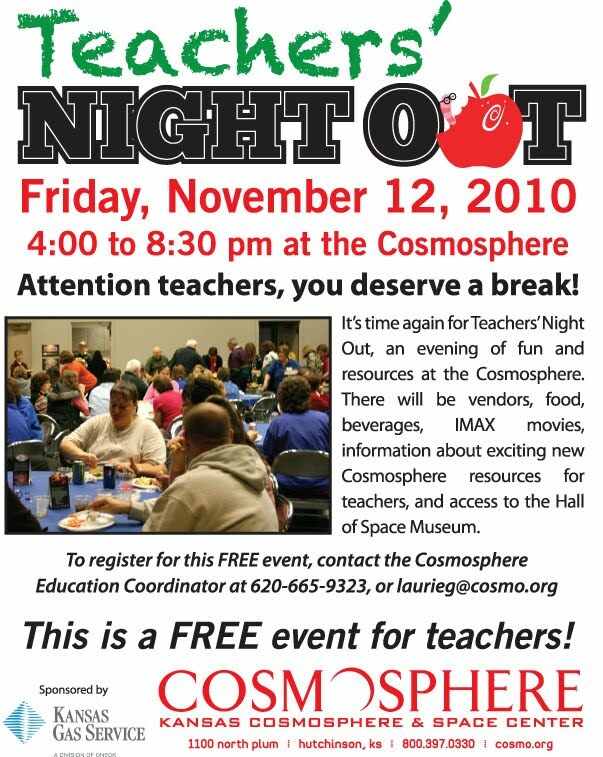 Teachers' Night Out at the Cosmosphere is set for November 12. It's free. 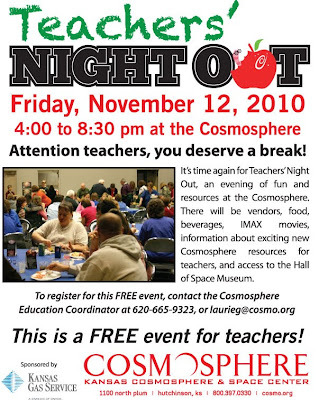 Contact laurieg@cosmo.org to reserve your spot. Sponsored by Kansas Gas Service, a division of ONEOK.